Drugmaker Abbott Healthcare is challenging West Bengal\'s accusation that a sample of the company\'s cough syrup contained excessive levels of codeine, the second multinational to question India\'s regulatory testing regime in recent months. Drugmaker Abbott Healthcare is challenging West Bengal's accusation that a sample of the company's cough syrup contained excessive levels of codeine, the second multinational to question India's regulatory testing regime in recent months. Whether the sample of Abbott's popular "Phensedyl" was a genuine product or a fake has not been established, but the suspect batch of 80,000 bottles has not been recalled. The state laboratory in West Bengal first raised the alarm last November. The previously unreported case underlines the weakness of India's unwieldy and poorly resourced drug and food regulatory system, the uncertainty it creates for foreign and domestic companies operating there and the potential risk to consumers. Abbott Healthcare is a unit of U.S.-based Abbott Laboratories. Abbott Laboratories also has a listed subsidiary in India, Abbott India Ltd. Three months ago, Nestle was forced to withdraw its Maggi instant noodles from Indian shelves because the food safety authority banned the snack after its tests showed excess lead. A court later overturned the ban in a partial victory for the Swiss food giant, but the allegations hurt the company's reputation and that of the country's regulators, who operate with few staff and poorly equipped facilities. In the latest dispute, the laboratory found that a sample of Phensedyl contained more than twice the labelled amount of codeine, according to several state drug officials and correspondence between regulators and Abbott seen by Reuters. Phensedyl sales are estimated to be more than 3 percent of Abbott's $1 billion India revenue. The sales are dwarfed by Abbott's global annual sales of over $20 billion, but, as the Nestle case shows, fallout from safety scandals is unpredictable. The excessive codeine, an opium derivative, would violate Indian drugs law. It triggered a "show cause" notice against Abbott, which was sent in March by the drug regulator in Himachal Pradesh, where Phensedyl is manufactured. In its response in late April, Abbott denied the allegations and urged regulators to not take any action. Abbott said it had found nothing unusual in its own and third party testing of a retained sample from the same batch of Phensedyl. The company also asked regulators to give it more information about the source of the suspect sample and the manner in which it was collected, so that it could establish whether it was genuine and proper process was followed. "We are awaiting response from the authorities," the company said in answer to Reuters questions. The original test was carried out by West Bengal after Phensedyl bottles were seized near the border with Bangladesh, said Samit Saha, a state drug inspector involved in the case. Codeine-based cough syrups are banned in Bangladesh, and smuggling is rife as people profit from higher prices there compared to India. According to a copy of the inspector's report, the sample contained 21.37 mg of codeine per 5 ml dosage, instead of 10 mg specified on the label. Saha said two other samples from different batches, however, showed normal codeine levels. 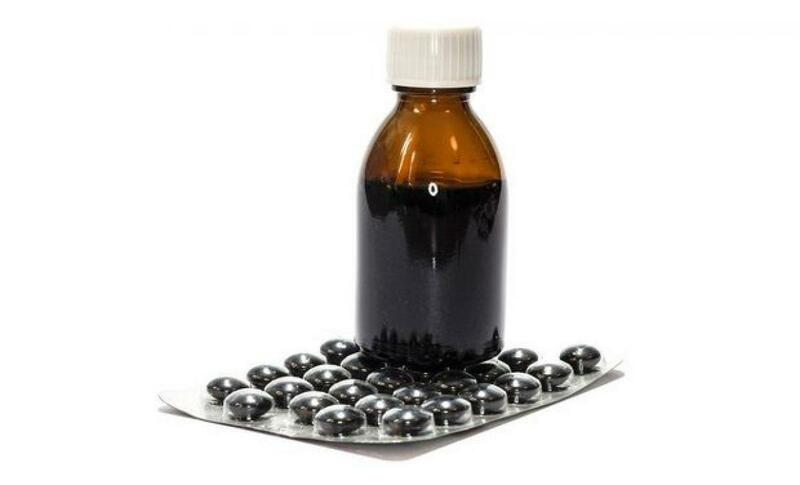 Excessive consumption of cough syrup with high levels of codeine can lead to health implications such as sedation, behavioral changes and drug dependence, said Amitabh Parti, a doctor at Fortis Memorial Research Institute. In February, West Bengal listed the potentially tainted batch as "not of standard quality" in a monthly publication. The bulletin, which is posted on the regulator's website, is supposed to alert consumers and pharmacies in the state to suspect drugs. But the West Bengal drug controller, C. M. Ghosh, said he does not have the resources to follow it up. Navneet Marwaha, the drug controller in Himachal Pradesh, said in an interview that Phensedyl, which accounts for about a third of the Indian cough syrup market, is often copied by counterfeiters. He said Abbott's stocks of codeine were accounted for. "They (Abbott) are saying 'show us the sample so we can see whether it is genuine.' They have not been provided with the sample," Marwaha said. He added that it was up to West Bengal to provide the information to Abbott. West Bengal's Ghosh said it was Himachal Pradesh's prerogative and the company can only challenge the test's findings at a central government drug lab with a court's permission. Safety breaches and scares are common in India. According to a 2012 parliamentary report, nearly one in 22 locally produced drug samples is of sub-standard quality in India. India has just 1,500 drug inspectors responsible for more than 10,000 factories, supplying medicines for a population of 1.2 billion and exporting to nearly 200 countries. Ghosh said he has 140 drug inspectors to monitor more than 50,000 pharmacies in the state. The central government wants to improve regulation of the key sector, and plans to spend $263 million in the next three years to strengthen the national and state regulatory system with additional equipment and staff and new laboratories.